after slicing fresh baguette into it, he topped it with gruyere and parmesan and broiled it for 5 minutes!, YUM!!!! This looks awesome. I can;t wait to blog my french onion soup. 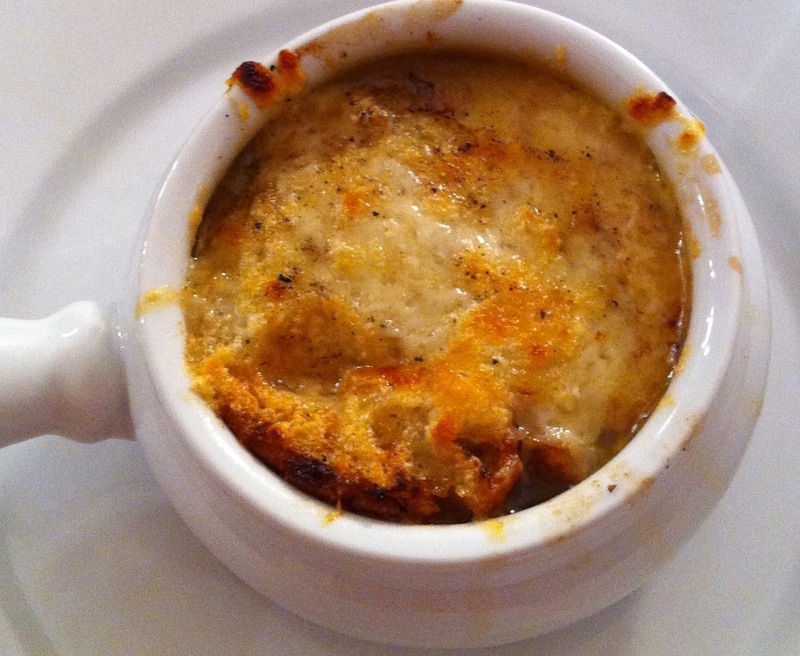 This looks amazing, I love french onion soup!